Paper Politics is a massive group show (representing 150+ artists) which has previously toured in Seattle, Brooklyn, and Portland. Its Milwaukee stop is at the Walker’s Point Center for the Arts. 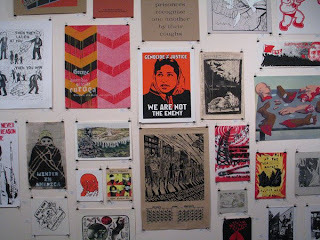 Paper Politics presents a breathtaking tour of the many modalities of printing: relief, intaglio, lithography, silkscreen, collagraph, monotype, photography. 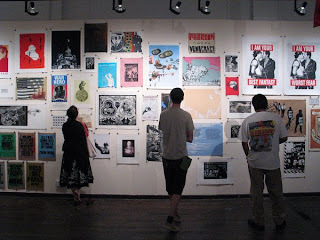 In addition to these techniques, we are delighted to include in the show finely crafted stencils and street printing, traditional media used to convey political thought. Previous BATHAS Episode #1 on the air!